Okay, so for those of my customers who have sensitive skin, this is a bubble bath you just might be able to enjoy! 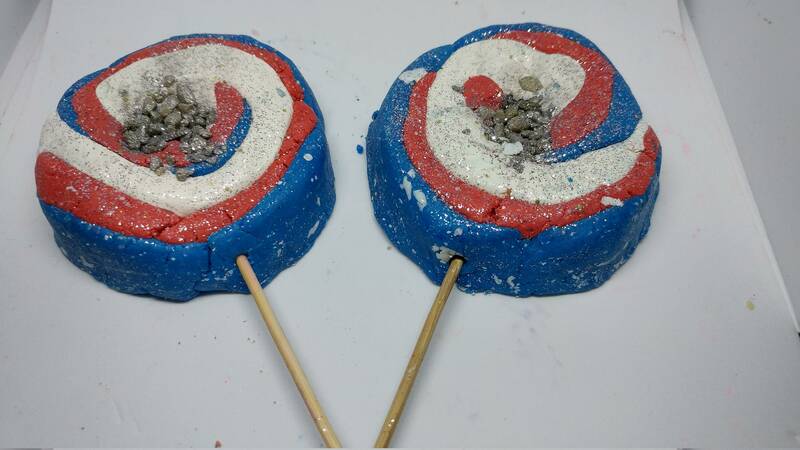 This fizzy bath pop is made primarily with gentle tapioca and therefore a Boba Bubble Wand. Because it contains mild surfactants that bubble like crazy it is less likely to irritate the skin. It makes great bubbles with regular water pressure, but if you have a jet tub---Hollywood bubbles are in store for you. With this wand I get 3 good size bubble bath's (we're talking 4 inches of foam with the jets on for 5 min). Those bubbles last until you introduce soap which will react and pop all that excessive foam. Don't start soaping up until you are done enjoying your bubbles! The bubble pops in this line have red white and blue patriotic colours. 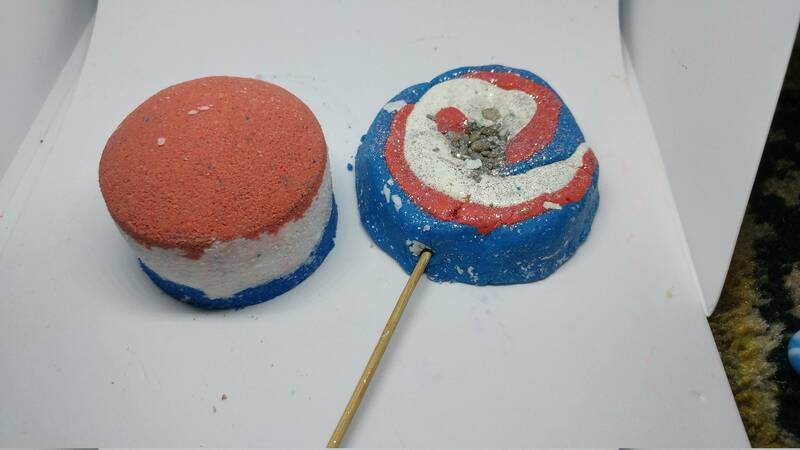 It is scented like cola and inspired by both the American Flag and my favorite colas (Pepsi and Coke). It is the first of the Sweet Bubbly Treats Around the World Bath Series. Stay tuned for more bubbly/fizzy/creamy bath treats. 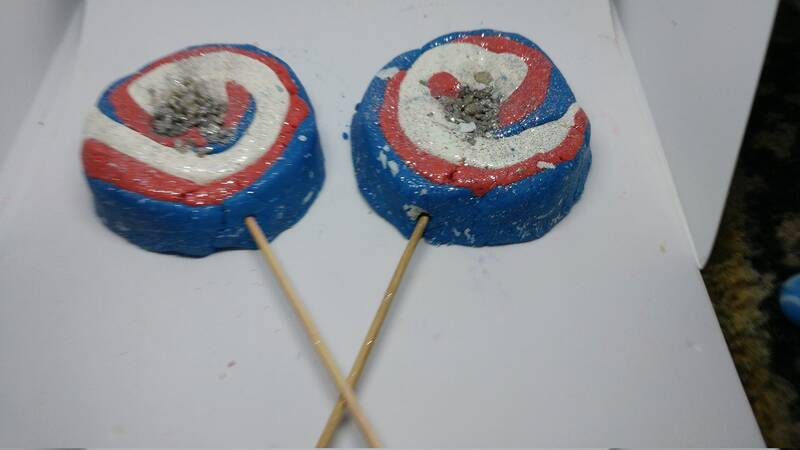 This fizzy cola bubble wand begins with a fizzing cocoa butter covered pop rocks show with the first use. 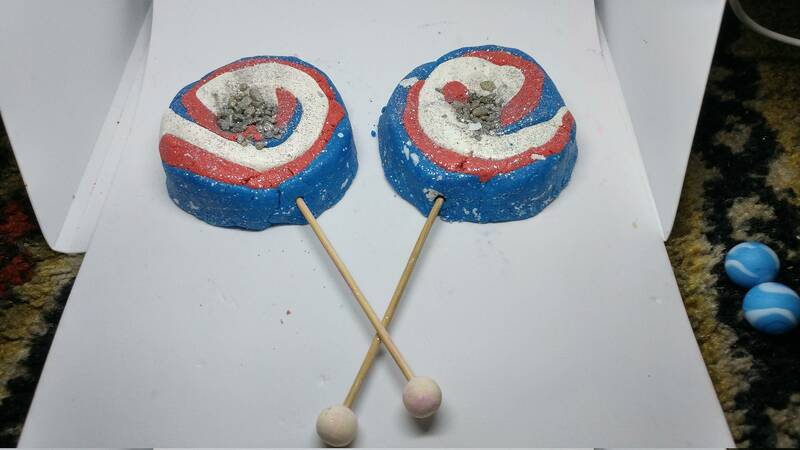 It has pop rocks embedded in the dough so you may hear popping and fizzing each time you use it. Store it in a well drained location after each use. Stick may become loose or fall out but if you store it in a dish that drains it will dry out between uses. I was born in the USA and it is the land of my heart. It's kind of strange sometimes living in Canada as a card carrying Daughter of the American Revolution. Happy Independence Day America!